AMAZING blog dude, now u have one more fan. Hi and welcome @Anonymous and thanks for your nice words. I am impressed, sure there is still work to do, but really I am impressed. Hey Peter , I'm the one whos aked about both Nurgle champs together. 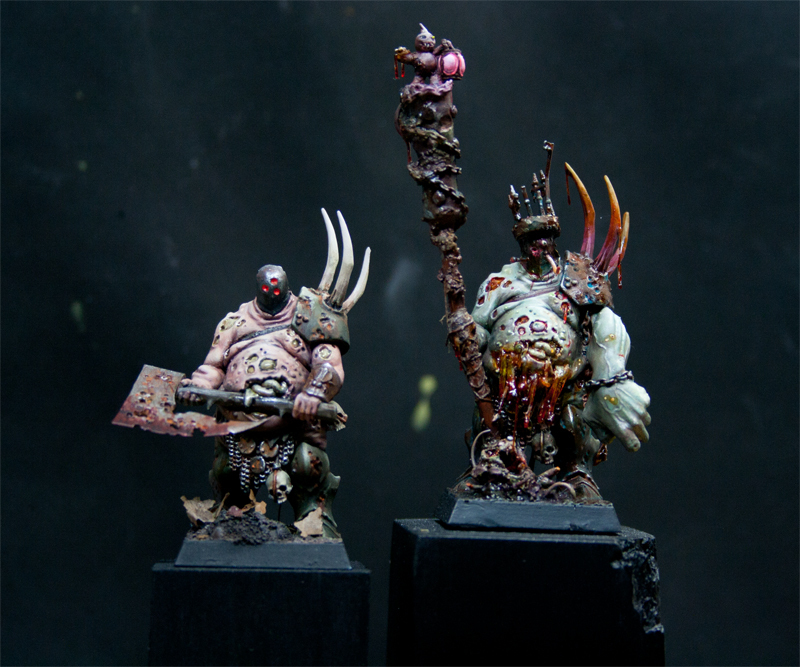 THANK YOU for the pic , it look as great as I'd expecting it to look , looks like two brothers , two twisted dark sons from the same roting Nurgle god, I love that mini and both versions you did guys.